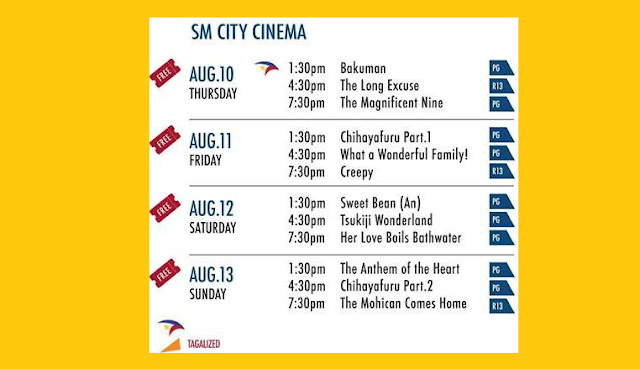 Twelve award-winning films from Japan will be shown for free at SM City Baguio from August 10 to 13 as part of the annual Japanese Film Festival. Eleven of the films have English subtitles while one is dubbed in Tagalog. 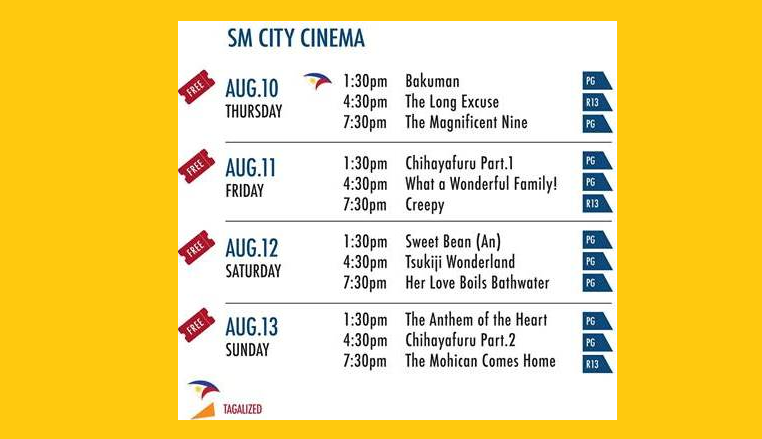 Organized and presented by the Manila office of the Japan Foundation, the festival (popularly referred to as Eiga Sai) is part of the events celebrating Philippines-Japan Friendship month. 1) Bakuman – High school student Moritaka (Satoh Takeru), whose manga artist uncle died from overwork, is talented but spends his days aimlessly. One day, he gets invited by his classmate Akito (Kamiki Ryunosuke), a wannabe manga writer, to team up and become manga creators together. 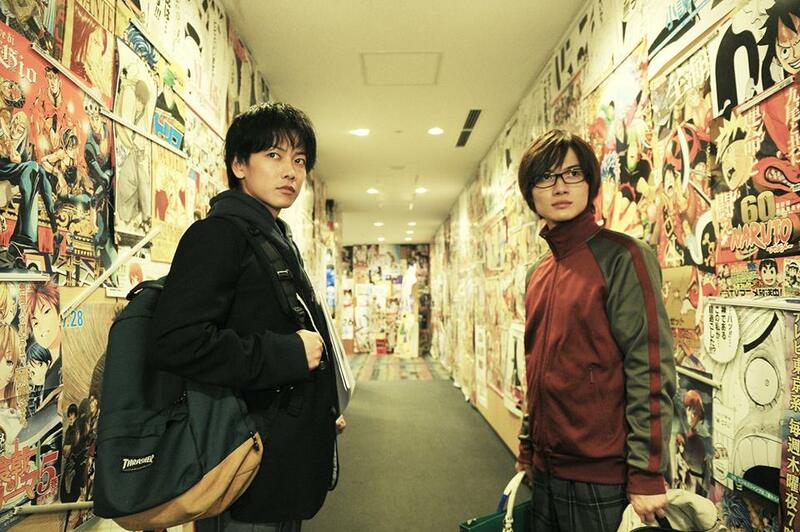 From one Hitoshi, the same director of live action “Love Strikes!”, this movie graphically portrays the struggles of two friends to become successful in the world of manga. 2) The Long Excuse – Romance starring Motoki Masahiro from Departures with original story, script and direction from Nishikawa Miwa of SWAY. A bestselling author discovers the joys of living for others after his wife dies and he spends time with children who have lost their mother. Bestselling author Kinugasa Sachio’s (Motoki) wife dies in a freak accident. He was cheating on his wife at the time of the accident and has to put on a fake performance as bereaved husband. Sachio meets Omiya (Takehara Pistol), whose wife died in the same accident, and offers to help take care of his children. 3) The Magnificent Nine - A film adaptation of Isoda Michifumi's original novel which is based on a true story from the middle Edo Period. It comically depicts the efforts of Yoshiokajuku, an inn town in Sendai fief, to save themselves from impoverishment by running a money-lending enterprise against the fiefdom. At the helm is The Inerasable director Nakamura Yoshihiro. On the verge of financial crisis, the Sendai fiefdom levies a heavy tax upon its inhabitants resulting in bankruptcies and people fleeing town in succession. A merchant of Yoshiokajuku, Kokudaya Juzaburo (Abe Sadawo), devises a relief plan to loan money to the fief with a partner and distribute the interest among the people. 4) Chihayafuru Part 1 - Chihaya, Taichi and Arata are childhood friends, bound by their passion for "competitive karuta" (karuta: traditional Japanese playing cards). They part ways after graduating from elementary school, but Chihaya continues to play the game that Arata taught her, in the hopes of one day showing him how strong a player she has become. 5) What A Wonderful Family – A heartwarming comedy from director Yamada Yoji, known for his “It’s Tough Being A Man” (Otoko was Tsuraiyo) series, which reassembles the cast of his Tokyo Family. Hashizume Isao, Yoshiyuki Kazuko, and Tsumabuki Satoshi portray an entirely different family in a story about elderly parents considering divorce which send their whole family into a panic. In his fiftieth year of marriage to Tomiko (Yoshiyuki), Shuzo (Hashizume) decides to buy her a birthday present for a change. However, she tells him she wants his seal on an application for divorce. Their children swiftly convene a family meeting. 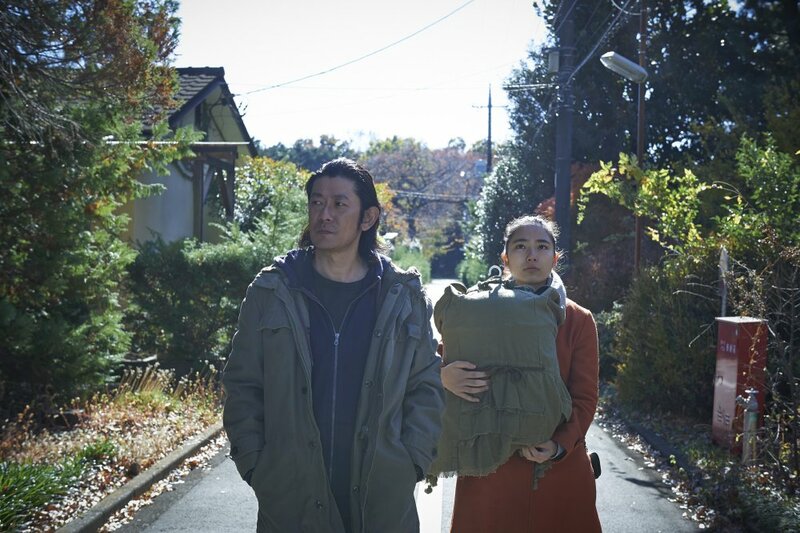 6) Creepy – Film adaptation of Maekawa Yutaka’s novel detailing the intertwining double enigmas of an unsolved missing family case and an odd, neighboring family. Directed by world-renowned director Kurosawa Kiyoshi, of the horro film Pulse among others, it screened at the 66th Berlin International Film Festival. Criminal psychologist Takakura (Nishijima Hidetoshi) is asked by detective Nogami (Higashide Masahiro) to analyse a missing family case from six years ago. He questions the only living person who remembers the case, but cannot untangle the mystery. Meanwhile, having just moved, Takakura and his wife (Takeuchi Yuko) can’t seem to figure out their neighbour. 7) Sweet Bean (An) – The film adaptation of the identically titled Dorian Sukegawa novel by previous Cannes Film Festival award recipient, Kawase Naomi. Kiki Kirin exudes a compelling presence as a coarse sweet red bean paste artisan, while his first co-starring role with her real-life grandchild, Uchida Kyara is also worthy of attention. 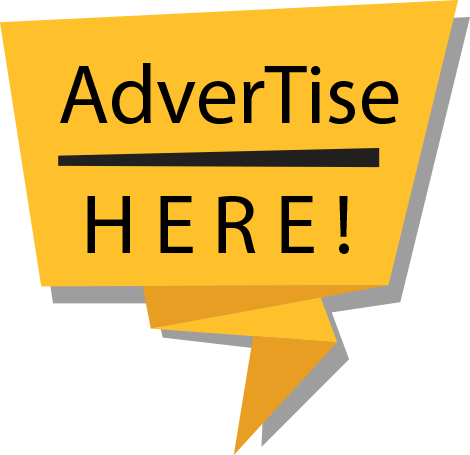 Sentaro (Nagase Masatoshi), the manager of a shop selling dorayaki (a sandwich of two small pancakes with a filling of sweetened bean paste) has entrusted the making of the coarse red bean paste to Tokue (Kiki Kirin), who answered a help wanted advertisement. The incredibly delicious flavour boosts the store’s business, but an unkind rumor causes Tokue to go away. 8) Tsukiji Wonderland – A documentary filmed over 16 months closely chronicling, including areas never before filmed, the Tsukiji Market which is due to be moved to Toyosu. Endo Naotaro, who has been involved in wide ranging works from advertisements to music videos, makes his theatrical film directing debut. The Tsukiji Market has continually sustained Japanese food culture for 80 years. There, intermediate wholesalers and chefs play out a duel among professionals, and each season’s fish mesmerize even tourists from around the world. 9) Her Love Boils Bathwater - A family drama about the intense feelings of a dying mother with a bombshell ending that breaks heart. It is written and directed by up-and-comer Nakano Ryota, who garnered attention with Capturing Dad. Futaba (Miyazawa Rie), whose husband suddenly left her one year ago, lives with her shy daughter, Azumi (Sugisaki Hana). When Futaba abruptly receives a diagnosis of a terminal illness, she aims to use the brief amount of time she has left to bring back her husband, restart the family's shut-down bathhouse business, and set Azumi on the path to independence. 10) The Anthem of the Heart - Nagai Tatsuyuki, Okada Mari, and Tanaka Masayoshi (respectively, the director, writer, and character designer of the popular anime series "Anohana") reunite for this original theatrical anime which delicately weaves a story about the rejuvenation of high school students bearing emotional scars. Second year high school student, Jun (voice: Minase Inori), uttered a remark that hurt her family and hasn't been able to converse with anyone ever since. In spite of this, Jun is assigned to the action committee for the community relations society at school and made the star of a musical. 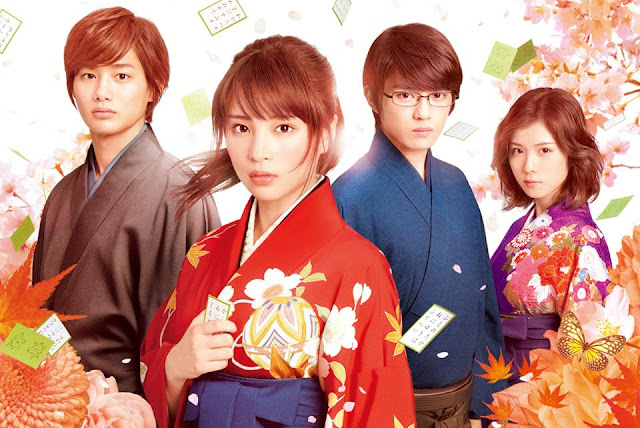 11) Chihayafuru Part 2 - Chihaya and Taichi are reunited in high school, and together, they try to form a "competitive karuta club" to compete in the national championship. Chihaya believes that if they make it to the Nationals, they may see Arata again. Despite knowing how Chihaya feels about Arata, Taichi joins the club for her. 12) The Mohican Comes Home – A bittersweet family drama set on an island in the Seto Inland Sea. A Mohawk-sporting young man’s homecoming after seven years is rocked by the pronouncement of his father’s remaining time to live. The film is written and directed by Okita Shuichi who has created a unique worldview in films such as The Chef of South Polar and A Story of Yonosuke among others. Eikichi (Matsuda Ryuhei), the vocalist for a little-known death metal band, has decided to marry his pregnant girlfriend, Yuka (Maeda Atsuko). He returns to his family home on Tobi Island after several years. However, his headstrong father, Osamu (Emoto Akira), collapses and is diagnosed with cancer.